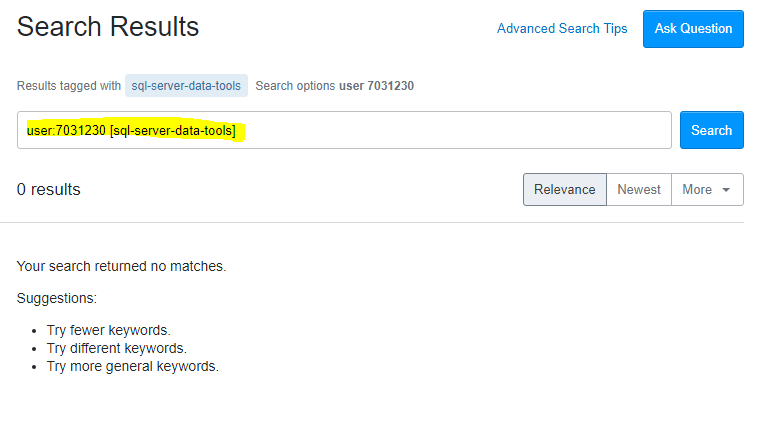 From about two years i suggested to consider ssdt as a tag synonym for sql-server-data-tools. I was checking the proposal status and i found that it is approved. 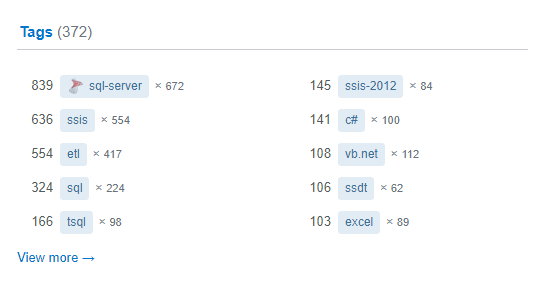 But while checking my profile page, in the tag section the tag ssdt is still showing in the Tags section. 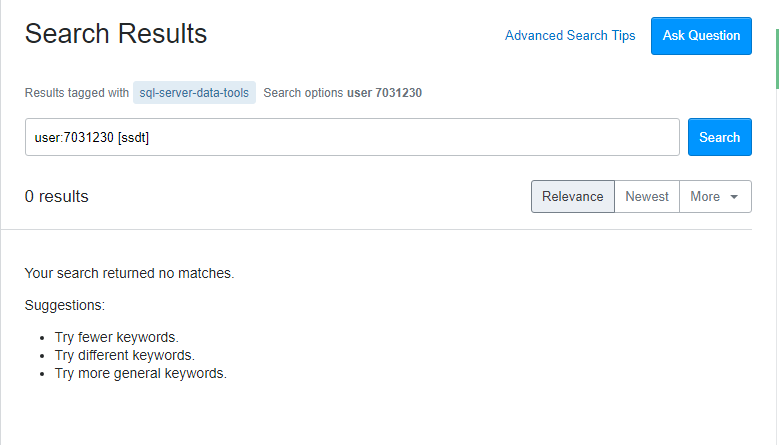 Even if i change the search keyword to user:7031230 [sql-server-data-tools], it still not showing any results. The profile page, top users page, etc are all heavily cached on the server side. It won't reflect changes immediately. It usually will change after a couple of hours, or after 1 complete day. After that, if you happen to cross the required limits for receiving the tag based badges, you will be awarded that as well. So, yeah, you should blame caching. Not the answer you're looking for? Browse other questions tagged bug tags search tag-synonyms .